The U.S. is becoming the home team. That was apparent on Sunday night, when the U.S. drew huge ovations even as it schooled Yao Ming and his less-talented teammates in a 101-70 rout of China. Off the court, the Americans have been mobbed by autograph seekers everywhere they go. 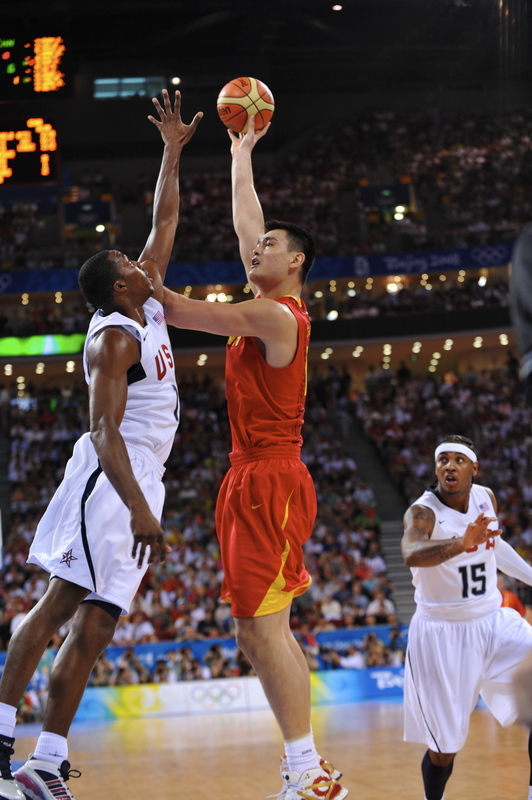 “Sometimes we think we’re bigger in China than we are in the United States,” U.S. guard Chris Paul said. Four years after being scorned in Athens, Team USA is bent on shedding the ugly American image, and the Chinese are buying it. A combination of the NBA’s popularity here and the Americans’ star power have fostered warm feelings among the players and the fans. Call it slam dunk diplomacy. This entry was posted on August 12, 2008 at 10:18 am and filed under Sports. You can follow any responses to this entry through the RSS feed.